Although Oxford Analytica and Cambridge Analytica sound very similar, the two companies have nothing to do with each other. Cambridge Analytica is the scandal-plagued data analytics company with ties to the Trump campaign. 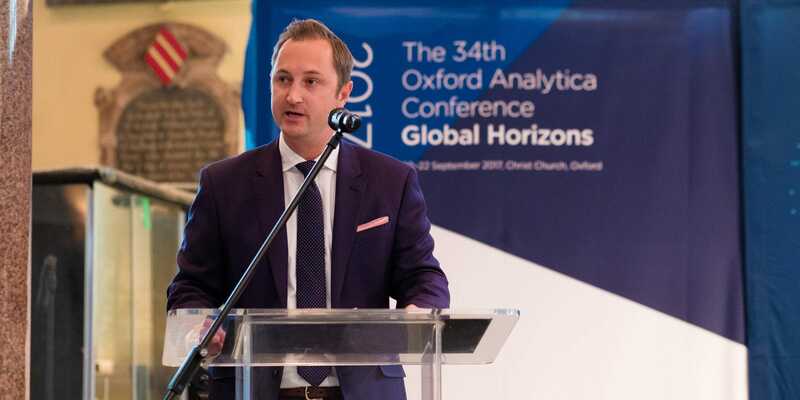 Oxford Analytica is a consulting company focused on geopolitical issues. “We want people to know that we are not #CambridgeAnalytica”, read a tweet by Oxford Analytica on Tuesday. By now, the name Cambridge Analytica has become very familiar to the general public, following the data analytics firm’s unauthorised use of Facebook data and allegations of its CEO’s dubious behaviour. But Cambridge Analytica’s sudden notoriety has caused problems for someone else too. Say hello to Oxford Analytica. Despite their similar sounding names, the two companies are not related or affiliated in any way. Nor are they rival departments of the esteemed British universities. Oxford Analytica is a consulting firm that focuses on geo-political risk. And it really wants people to know it has nothing to do with that other Analytica company that’s been in the news lately. “We would like to make clear there is not now and never has been any relationship or affiliation whatsoever between Oxford Analytica and Cambridge Analytica,” the company said in an official statement posted on its website on Monday. In a tweet referring to the statement, Oxford Analytica sought to further clear up any confusion while poking fun at the academic-sounding names used by each company. In fact, Oxford Analytica says it entered into a trademark dispute with Cambridge Analytica last year, and argues that it has held a trademark for the word Analytica for more than 20 years. “The dispute has not been resolved as of the date of this statement,” Oxford Analytica says.